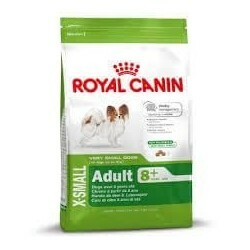 The I think dry Royal Canin X-Small Adult is indicated for breeds miniature from the 10 months. And although they are small they need a diet tailored to your needs to be able to maintain this vitality. 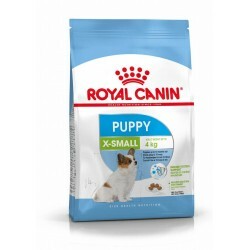 On the other hand, generally have problems with constipation, that's why Royal Canin developed its formula with ingredients that are digestible and rich in fiber. 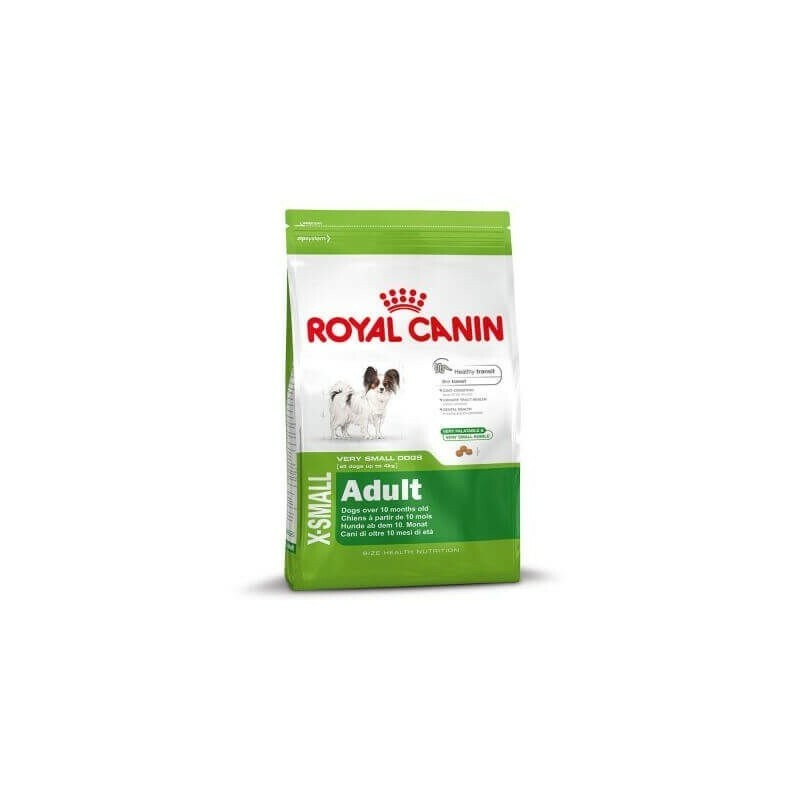 Thanks to the chondroitin and glucosamine your joints are kept in perfect condition, and the calcium and phosphorus strengthen your skeletal system. 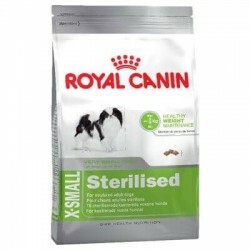 Contains EPA-DHA and zinc, so that your hair and skin will enjoy a good health. 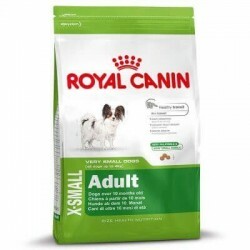 Royal Canin X-Small Adult is designed for agents to calcium-chelators to reduce tartar formation and bad breath and the dog can maintain oral hygiene properly. In addition, have designed the size of the croquettes to fit perfectly into their small mouths, thereby stimulating the appetite.